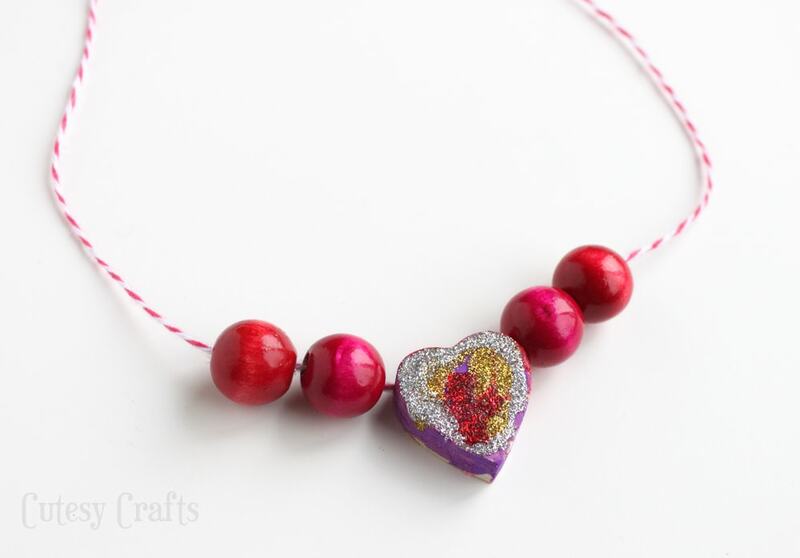 Home / Holidays / Valentine's Day Crafts / Glitter Wooden Heart Necklace and a GIVEAWAY! 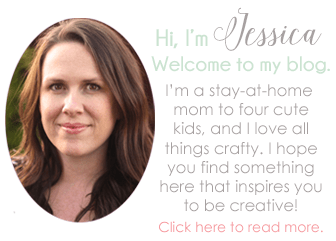 Glitter Wooden Heart Necklace and a GIVEAWAY! 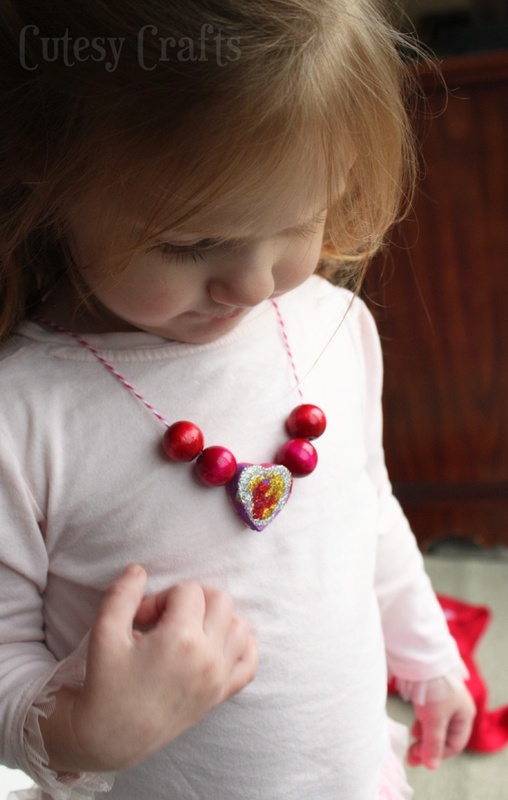 Today I’ve got a fun Valentine’s Day kid craft to share with you. 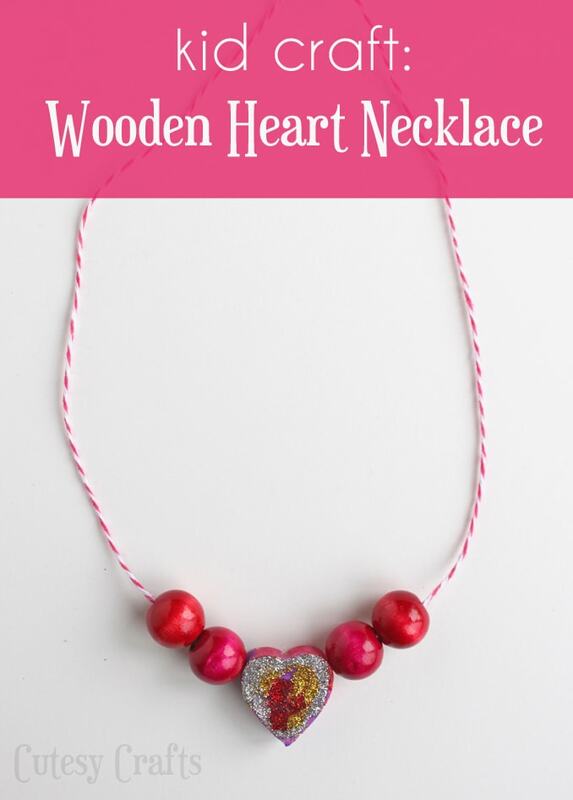 It’s a cute glitter wooden heart necklace. And make sure you keep reading because I’ve also got a GIVEAWAY for you to enter! YAY! This was very easy to make and would be a great craft for a Valentine’s Day party or any day for that matter! 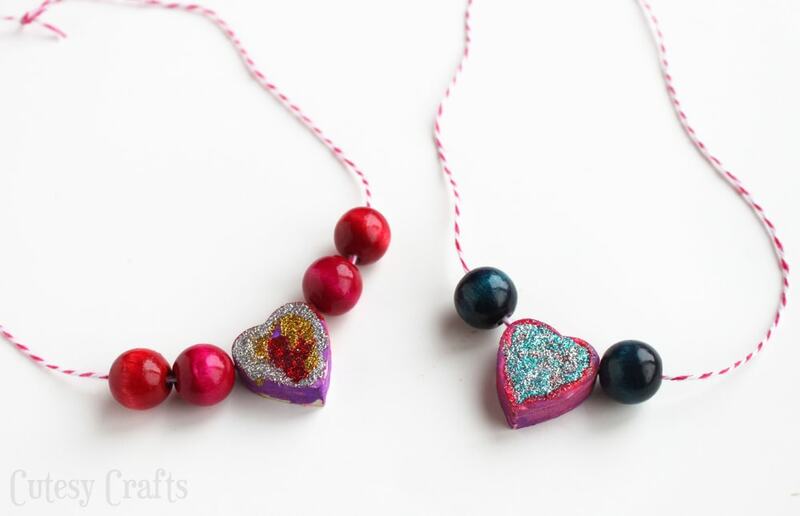 Who doesn’t love hearts and glitter?! 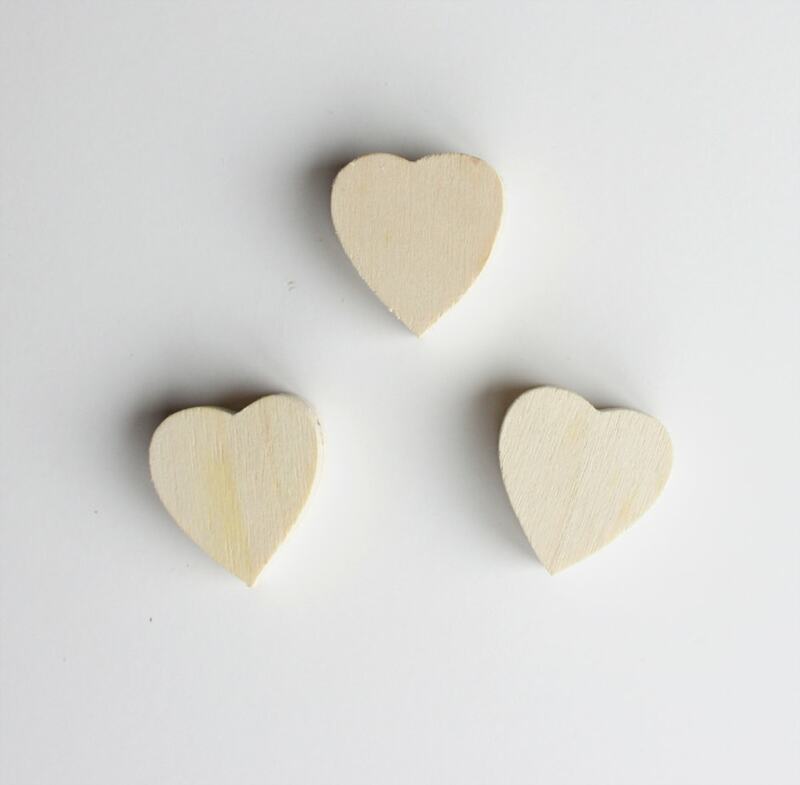 I have a bunch of wooden hearts leftover from the garland that I made. These ones were really cute and small, so I had my hubby drill holes through them to make beads! They just needed a little decorating! 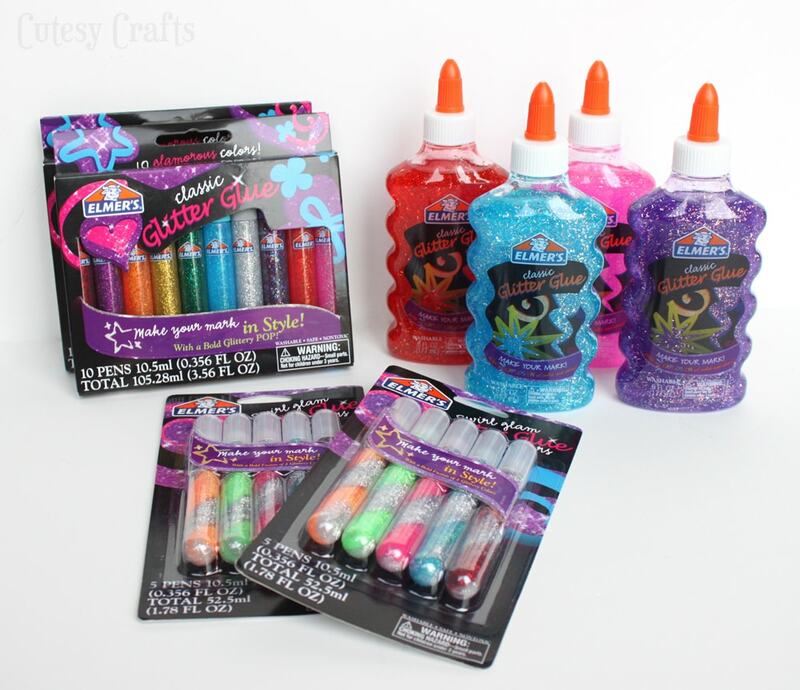 Elmer’s sent us all of this awesome glitter glue to use for our project! Thanks Elmer’s! We got the glitter glue for free. As always, this does not affect my opinion in any way. Audrey went to town decorating her heart! 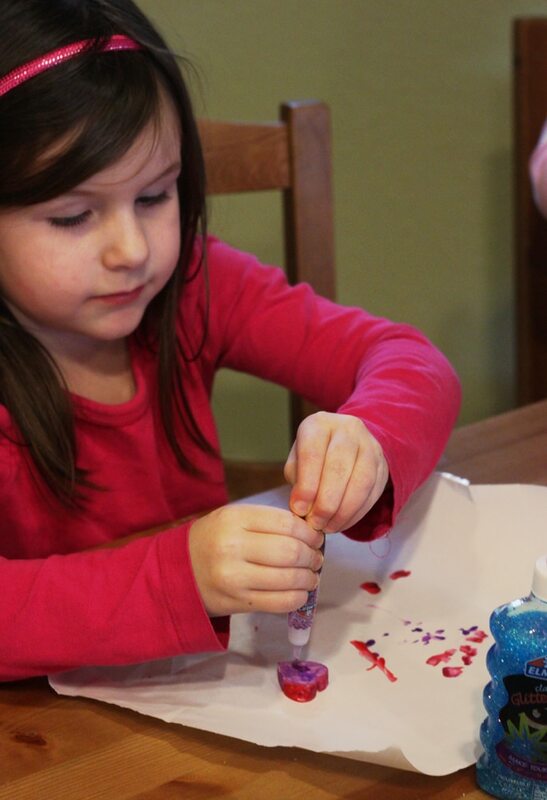 First she painted it, then she gave it some bling with the glitter glue. My favorites are the swirled ones with two colors! So pretty and easy for Audrey to use! Best part? No mess from the glitter flying everywhere. We let the hearts dry and then strung them onto some baker’s twine along with some wooden beads. Again, the baker’s twine was from my garland project. We have a lot of that around here! 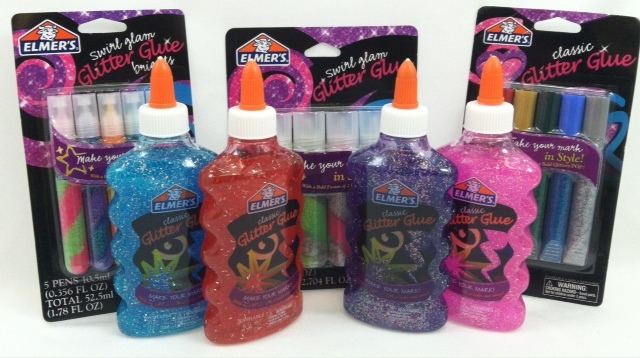 And lucky you because Elmer’s wants to give you some of their fabulous glitter glue!!! One person will get all of this awesomeness! Just use the Rafflecopter widget below. If you are reading this in an email, you will need to click through to enter. Winner will be announced in one week. Must be 18 years or older to enter. US residents only. Void where prohibited by law. Good luck! Those are a cute project. My dd loves everything glittery and would love playing with glitter glue. It was so much fun to play with! I especially love that there was no glitter mess!